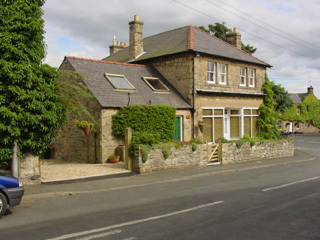 Situated in beautiful and historic Northumbrian countryside, close to Hadrian's Wall and Hexham, on the Stanegate Roman road, in the pretty village of Newbrough. With easy access to Hadrian's Wall, Langley Castle, Hexham, Corbridge, Carlisle, Newcastle, Gateshead and all of Northumbria's many attractions. 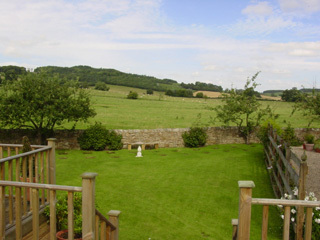 Built in the 1920s, formerly a restaurant and village shop, Westfield enjoys wonderful views over open countryside. Recently upgraded to a high standard by the current owners, Westfield provides the character and space associated with an older property, together with the comfort and amenities required by today's visitors. At Westfield our bedrooms are large and comfortable, each with en-suite facilities and lounge area, flat screen television with Freeview, free wireless internet access, tea and coffee making facilities and private entrance. The Garden Room is particularly suited to families, with a double and a single bed, with the option of an additional single bed if required. The Green Room, at the other end of the property, has a super kingsize bed. For breakfast you have the choice of a full Northumbrian or a more healthy Continental breakfast, or you may like to combine the two. Langley Castle is only 10 minutes away. We offer guests attending weddings or functions at Langley a slightly more subdued overnight stay and a lift to the Castle is always available.